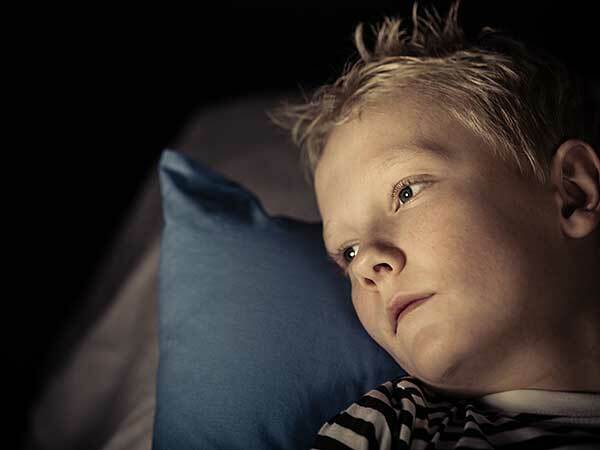 Childhood insomnia is a much more common problem than you might think. While most people assume that sleep troubles are an adult issue, it can be just as easy for a child to have his/her sleep disrupted for a variety of reasons and this regular disruption of sleep patterns can have devastating results. For this reason, it is important for parents to recognize the symptoms of insomnia in children and understand how to treat it properly. In general, the sleep habits of children differ from those of adults. Children tend to need more sleep than adults, with 6-12 year olds requiring 10 or 11 hours of sleep a night and teens requiring about 9 hours per night. When they have difficulty falling asleep easily or a tendency to wake up frequently or if they wake up earlier than necessary, this is when children are considered to have insomnia. Though older children may complain about sleep problems on their own, younger children may not be able to explain what is happening to them. This is why parents need to be aware of the symptoms of childhood insomnia, which can include tension or worry related to bedtime, sleepiness during the day, an inability to concentrate, irritability or mood swings, depression, hyperactivity, a decreased attention span and memory problems. There may be many causes of insomnia, including the use of certain medications, particularly those for ADHD that have become increasingly popular in recent years. Certain medical disorders like asthma or allergies can also disrupt sleep and caffeine, which can be found in many popular soft drinks, is a powerful stimulant that may make it hard for your child to fall asleep or stay asleep. By far the biggest factor in childhood insomnia is also probably the least likely to be suspected. Stress is a well-known issue for adults but it can also be a problem for children. Everything from bullying at school to tension in the home can affect a child. Children are much more observant than we tend to realize and they will pick up on even the slightest perceived problem around them. Arguments or fighting between parents can be internalized by children and manifest in sleep disruptions. Sometimes the cause of a sleep issue may be as simple as the wrong environmental conditions. Getting a proper night’s sleep requires a dark, quiet and relaxing environment. There should be no use of electronics or TV within an hour of bedtime and noise and lights should be kept to a minimum in order to facilitate sleep. Because doctors do not recommend the use of medications for treating childhood insomnia, controlling the environment is especially important. You can also help by setting a regular bedtime and removing all clocks from the bedroom as watching the clock while they can’t sleep will only increase worry. You may also want to teach your child deep breathing and other relaxation techniques in order to help them achieve a state of peaceful rest. Childhood is more stressful than you may realize and sometimes that stress can lead to difficulties sleeping. While a child who is restless at night can be frustrating, try not to over-react. The most important thing you can do for your child is listen to him and help him talk about his issues. That way both of you can get back to sleeping easier.